Holiday Soy Sauce Brined Turkey will be the star of the show at your next holiday dinner. 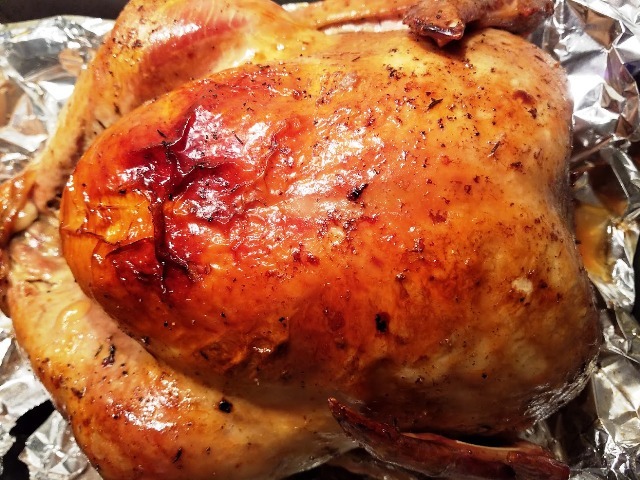 I have brined my Holiday turkey’s for the last 3 years, and every time, the turkey cooks beautifully and is moist, tender, juicy and very flavorful! 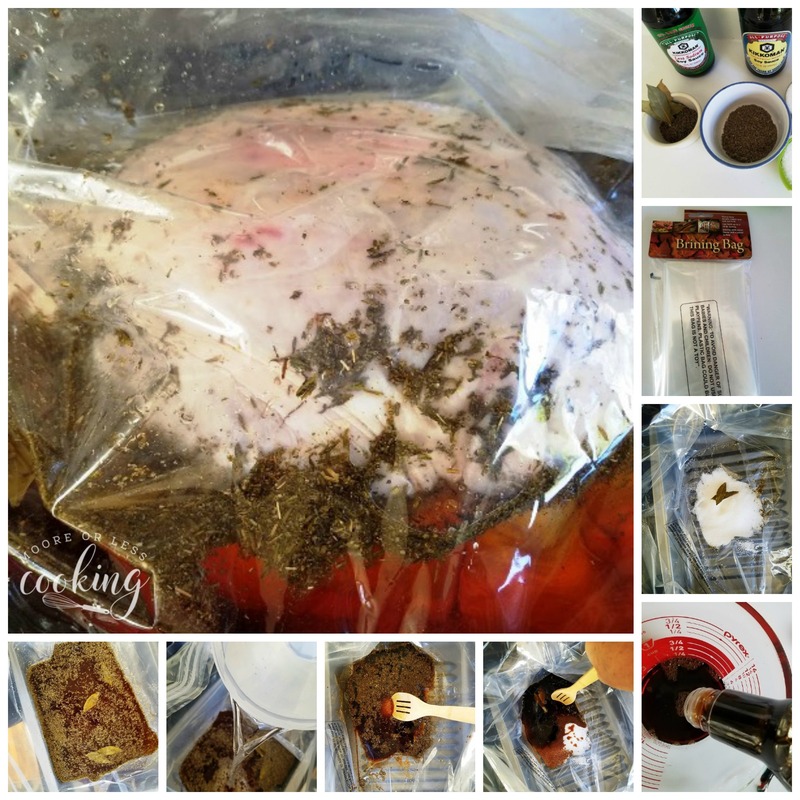 I am excited to share my recipe with you, so that the next time you cook a turkey, try my brining method, you will not be disappointed. For the brine, I used: Kikkoman® Soy Sauce, cold water, kosher salt, sugar, sage, thyme and bay leaves. 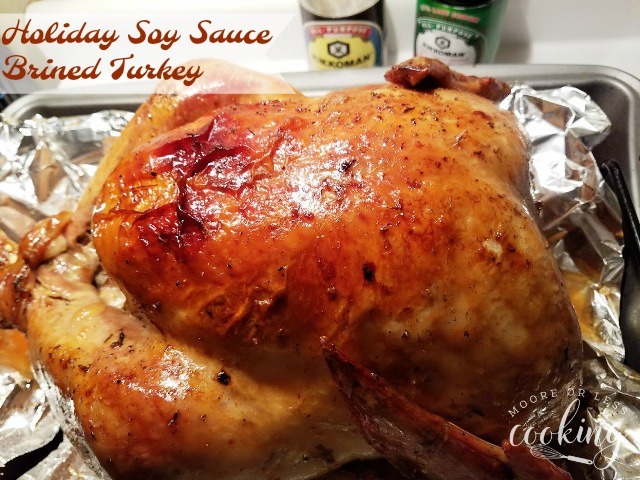 Kikkoman®Soy Sauce is not just for Asian sauces and marinades, it’s more mainstream and versatile, and perfect for incredible holiday recipes like this Holiday Soy Sauce Brined Turkey. 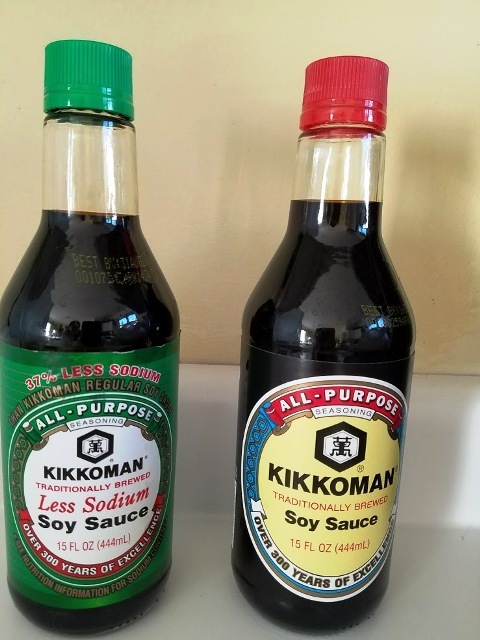 Kikkoman® Less Sodium Soy Sauce is a great choice for home cooks who are looking to cut down on their sodium levels, but not sacrificing flavor. 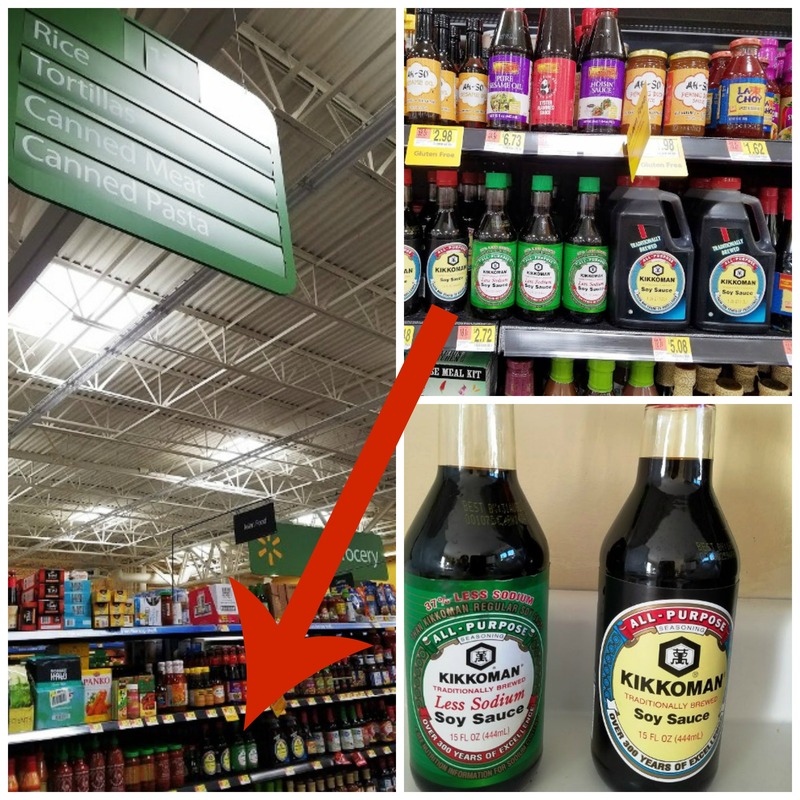 I like that I can find Kikkoman® Soy Sauce at my local Walmart. If you can find a brining bag, it will be so easy. Just place all of your brining ingredients in the bag, then place your turkey inside. Pour water over turkey and brining mixture. Squish all of the ingredients together. Seal the bag and place it in the refrigerator for 24 hours, over overnight. I like using my refrigerator bin as a receptacle to hold the turkey. After the turkey has been brining for 24 hours, or overnight, remove the turkey, you can clip the bag and let it drain into the sink. Next, place the oven rack in the lowest position and preheat the oven to 425 degrees Fahrenheit. Line a V-rack with tin foil, poke a few holes into it. Spray the foil with vegetable or olive oil. To prepare the turkey for roasting, trim the extra neck skin and tail piece, tie the legs together with kitchen twine, and tuck the wings under the bird. Brush the breast side with butter then sprinkle with salt and pepper. Flip the bird, breast side down and brush the bottom of the turkey with butter and sprinkle again with salt and pepper. Remove the turkey from the oven. Lower the temperature to 325 degrees Fahrenheit. Flip the turkey breast-side up using clean potholders or kitchen towels. Continue roasting the turkey until the thigh registers 175 on an instant-read thermometer, 1 to 2½ hours longer. If needed, add chicken broth to the roasting pan to prevent the drippings from burning. Transfer the turkey to a carving board and let rest, uncovered, for 30 minutes, before carving. To ensure a juicy turkey, try to not overcook it! If you can’t find a brining bag don’t use a roasting bag instead, it will leak. I have used a white trash bag before, that works great as well. 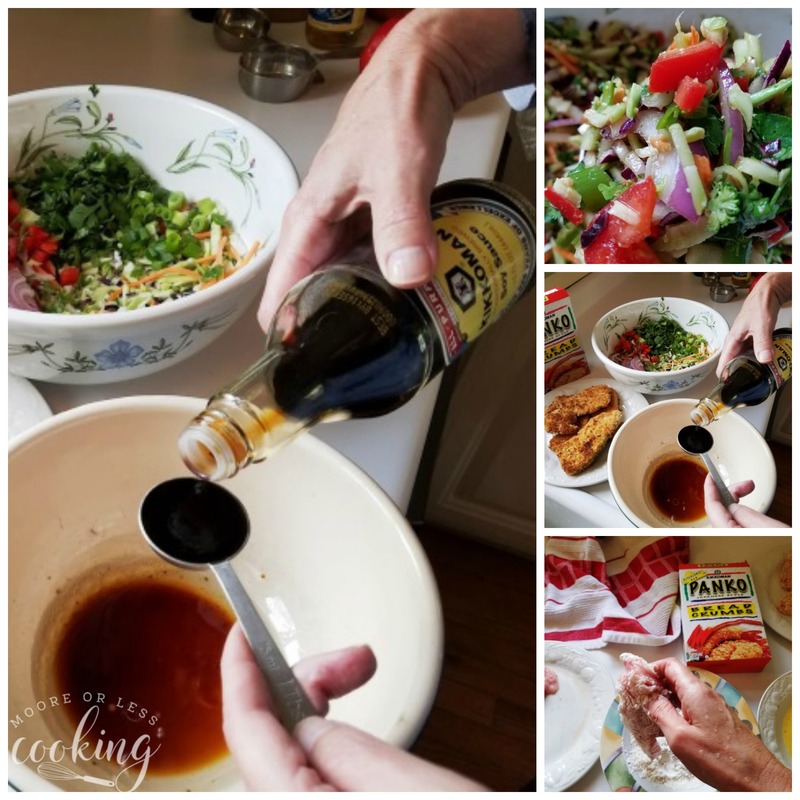 Another fun and delicious recipe that I like to make during the holidays is Pan Fried Turkey Cutlets with Slaw with Kikkoman® Soy Sauce and Kikkoman® Panko Bread Crumbs. It’s a super simple recipe that any level cook can make and is loved by kids and adults. 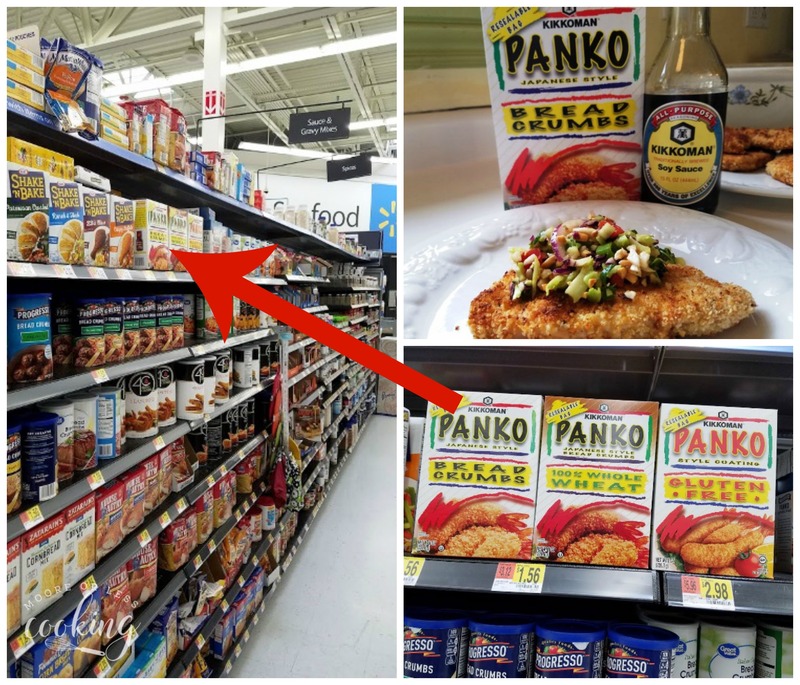 Kikkoman® Panko Bread Crumbs are found in the breading section, not the Asian section at your local Walmart. Here is how you make Pan Fried Turkey Cutlets with Slaw. Place flour in a shallow dish or plate. Mix together egg, almond milk, salt and pepper in another shallow dish or plate. 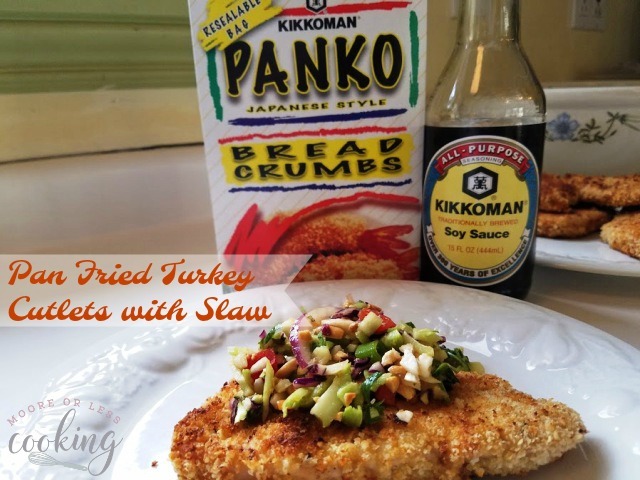 Place Kikkoman® Panko Bread Crumbs in third shallow dish or plate. Dredge each cutlet in flour and shake off the excess. Proceed to the next plate and cover with beaten egg mixture. Proceed to the last plate with Kikkoman® Panko Bread Crumbs and coat turkey, pressing lightly. When all four cutlets are prepared, heat pan to medium high and sauté two cutlets at a time in vegetable oil for 3-5 minutes each side. Place in a 350º F oven to keep warm and to ensure that they are fully cooked (cook until meat reaches an internal temperature of 170°F ). Mix together egg, milk, salt and pepper in another shallow dish or plate. 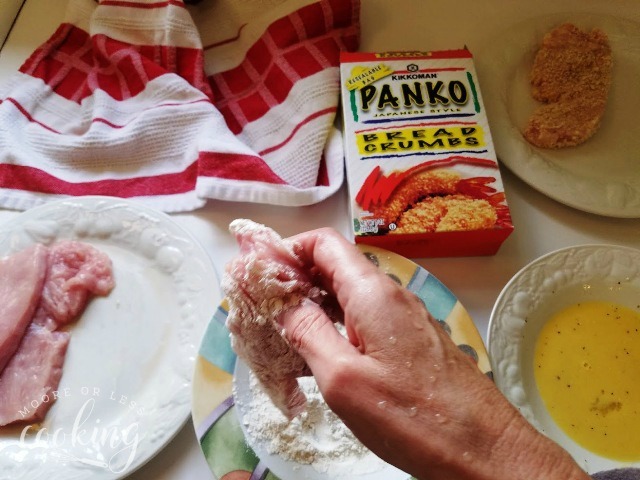 Place Kikkoman®Panko bread crumbs in third shallow dish or plate. Proceed to the last plate with Kikkoman®Panko crumbs and coat turkey, pressing lightly. Place in a 350º F oven to keep warm and to ensure that they are fully cooked (cook until meat reaches an internal temperature of 170°F. ASIAN SLAW: Assemble this slaw and toss with dressing. Refrigerate until cutlets are cooked, then serve on top. The most juiciest . 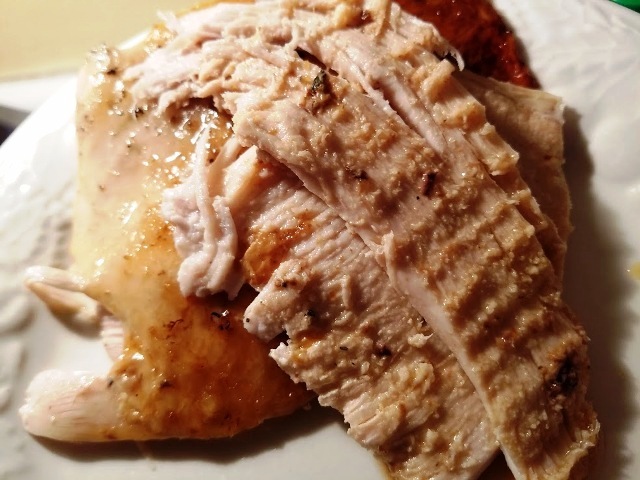 flavorful holiday turkey with a soy sauce brine. The night before roasting, remove everything from inside the turkey and rinse it well, inside and out. Place the brining bag in your roasting pan and put all the brine items in the bag except for the water. Stir and mix it around until the salt and sugar are dissolved. Place the turkey in the bag then add the cold water. Squish everything around a bit then close off the bag with a twist tie, or if the bag has a ziploc. Before roasting, remove the turkey from the brine and dry off with paper towels. Let turkey brine drain in the sink. Place oven rack in lowest position and preheat oven to 425. 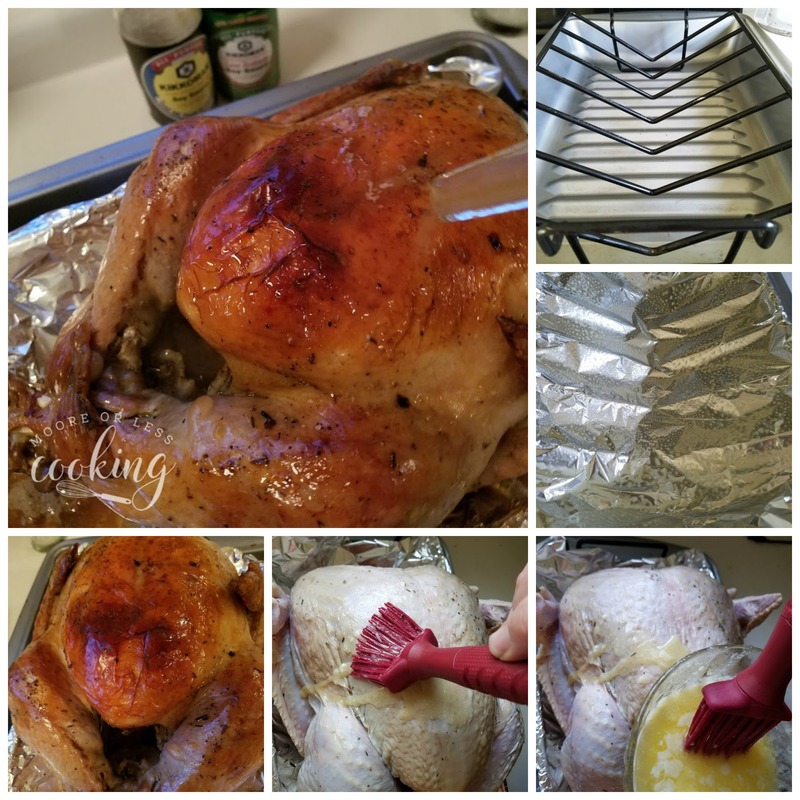 Line a V-rack with tin foil, poke a few holes into it and place in the roasting pan. Lower the temperature to 325. To ensure a juicy turkey, try to not overcook it! If you can’t find a brining bag don’t use a roasting bag instead, it will leak. You can always use a white trash bag. Please click here for more Holiday inspiration. 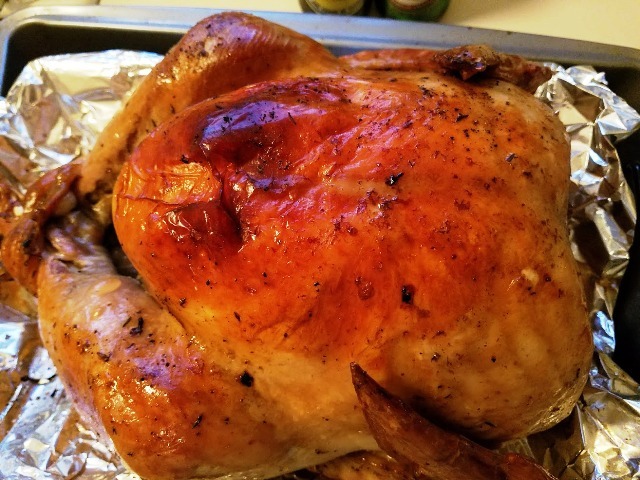 Do you need to rinse turkey after brine? After brining, rinse the turkey thoroughly under cold water for a few minutes.